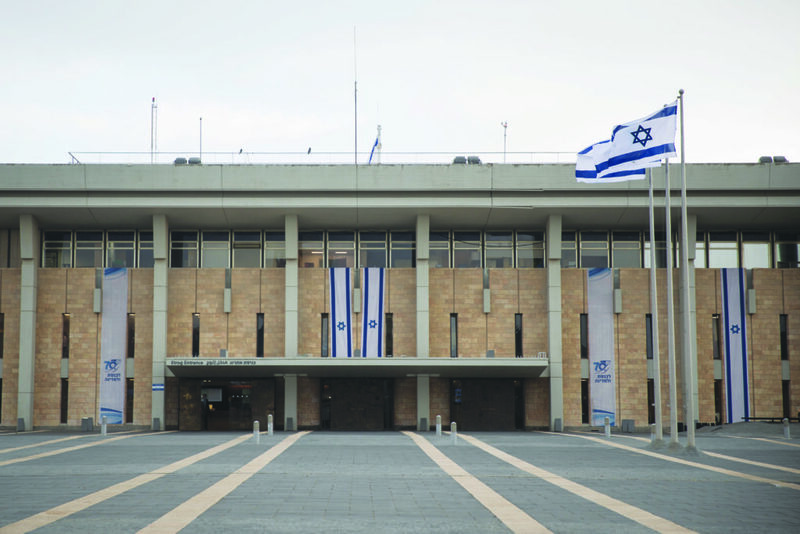 The following guide, broken into topical sections, breaks down how Israel’s government is constructed, why Israelis are going to the polls April 9 and who the major players are in the campaign to govern the Jewish state. Click on some of the links directly below as a shortcut, or scroll through for a complete primer. Israel’s election is a free-for-all: Instead of two major parties, there’s a whopping total of 47 parties competing at the ballot box. Israelis vote for parties, not individual candidates (the candidates are chosen by the parties, some through primaries). The more votes a party gets, the more seats it has in Israel’s 120-seat parliament, the Knesset. A government is formed by a party — more likely a coalition of like-minded parties — that captures more than 60 seats. There are 120 seats in the parliament, or Knesset. To gain a seat, a party needs to win at least 3.5 percent of the vote. Whoever wins at least 61 seats controls the government. That is almost exactly what happened last November: Israel Beiteinu left the coalition when Avigdor Liberman resigned, disgusted by a cease-fire with Gaza militants. Netanyahu was left with 61 seats — an ultra-slim majority that doesn’t allow for easy legislating. If just one small faction of his coalition disagrees with a bill, it’s dead in the water. Netanyahu is the first sitting prime minister to be indicted on criminal charges — but that doesn’t mean he won’t be re-elected in April. “[The left has] mounted a thuggish, incessant campaign of pressure — I’d say almost inhuman — on the attorney general,” Netanyahu said the day the indictment was issued. Labor, the party of many Israeli political legends — think David Ben-Gurion, Golda Meir and Yitzhak Rabin — is expected to finish fourth(ish) in the election. It hasn’t won an election in two decades, and now it has been supplanted as the main opposition party by Blue and White. Its best hope is to be a junior coalition partner in the next government. Late last month, the Central Elections Committee chairman, Supreme Court Justice Hanan Melcer, announced a ban on anonymous election ads on social media and in all other media. It went into effect March 1.